Lifelong landscape design means thinking about more than your garden. It involves encouraging your community to be a well-rooted environment consisting of friends who share home-grown produce, walk in the neighborhood, recycle, water harvest, compost and are watchful of each other’s well-being. Lifelong landscape designs create environments that connect with nature, encompass a home, and promote healthy living by providing mobility, social interaction, and places to sustain the body and soul. Learn easy steps to design your own lifelong landscape through more than 200 landscape patterns and activities that illustrate components of healthy living. Enhance the quality of your life at any stage with practical advice from this inspirational landscape architect with more than 30 years experience. 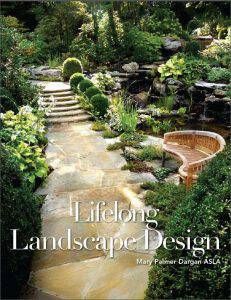 Mary Palmer Dargan is a nationally known principal in the Atlanta-based firm of Dargan Landscape Architects. Her projects have been published in many national publications and on Home and Garden Television (HGTV). Note: For autographed copies, please give the name and message, or we will be creative! A well designed garden takes more than plants and flowers to consider it eye-catching. 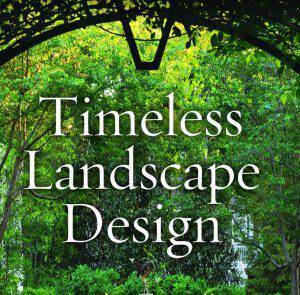 Hugh and Mary Palmer Dargan, ASLAs explore the depth of visual art in landscape design in their new book Timeless Landscape Design: The Four-Part Master Plan (Gibbs Smith, Publisher, $29.95, Hardcover, January). MYSTERIES UNFOLD AS THE BIRTH AND EVOLUTION of the English kitchen garden from 1580-1800 is traced with emphasis on the effects of geometric and picturesque landscape movements. 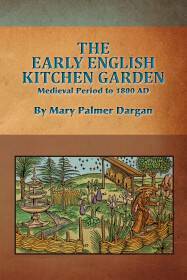 This book, Mary Palmer Dargan’s Masters thesis, specifically addresses the origins of the kitchen garden, records changes in its structure and function and explains why these changes occurred. rimary research was conducted at Dumbarton Oaks, Washington, D.C. and focused on the period English garden texts in the rare book collection. Of value to persons interested in gardens and garden history, this study is of particular use to those in the fields of landscape architecture, historic preservation, history, horticulture and geography. Because it traces the origins and evolution of the kitchen garden during a particular time in history, more research is needed to complete the evolutionary picture of the kitchen garden. 115pp. 58 images. Black and white. Sample 10 pages here.